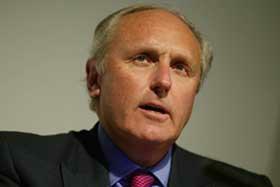 During 26 years at the helm of the Daily Mail, editor Paul Dacre has published some striking and memorable front pages. His strong pro-Brexit stance, and anti-Labour sentiment, has been unabashed, while he has spearheaded a number of successful campaigns including calling for justice for murdered teenager Stephen Lawrence. 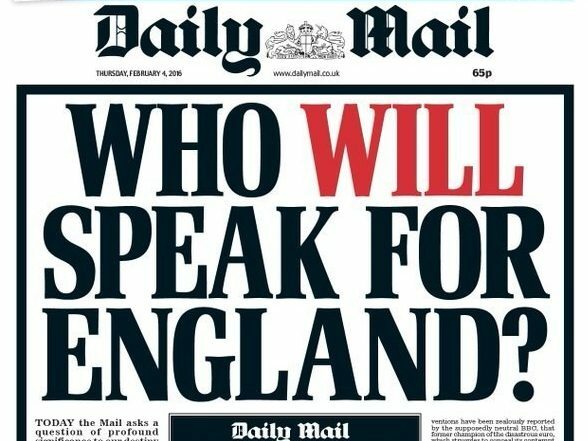 Dacre announced yesterday that he will leave his role as Daily Mail editor to become chairman and editor-in-chief of Associated Newspapers later this year, stepping back from day-to-day editorial responsibilities. 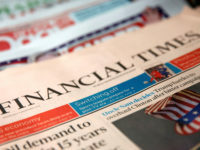 In a statement to staff, Dacre described them as “Fleet Street’s greatest team of journalists”, who had been behind the paper’s “countless successful campaigns” that often made the front page. Here are some of Dacre’s most memorable splashes through the years. 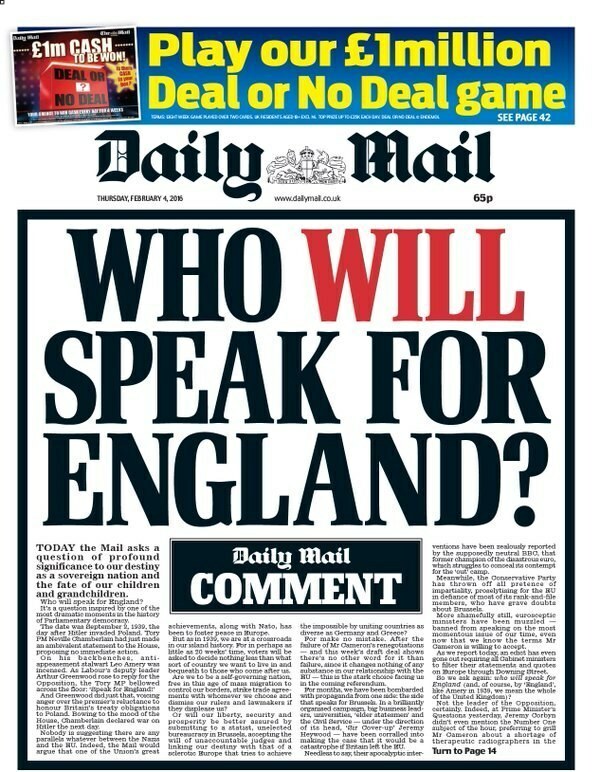 Dacre recently revealed he caused a “deathly silence” on the Daily Mail back bench when he proposed the now famous splash accusing the five suspects in the Stephen Lawrence murder case of killing him. 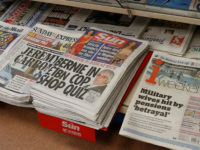 Dacre had been moved to run the front page after watching the suspects repeatedly refused to answer questions at Lawrence’s inquest, which returned a verdict of “unlawful killing”. 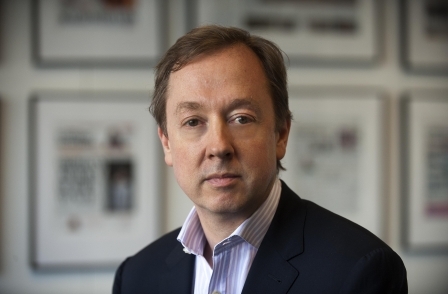 In 2012, after David Norris and Gary Dobson were convicted of Lawrence’s murder 19 years on, Dacre wrote that the newspaper had taken a “monumental risk” with the front page but that he believed “as a result we did a huge amount of good and made a little bit of history that day”. 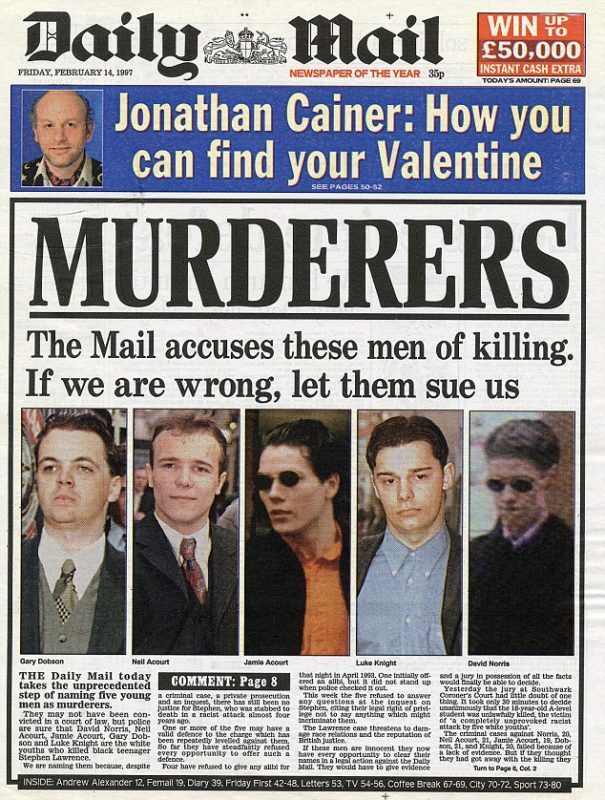 Daily Mail ‘Murderers’ front page from 14 February, 1997. 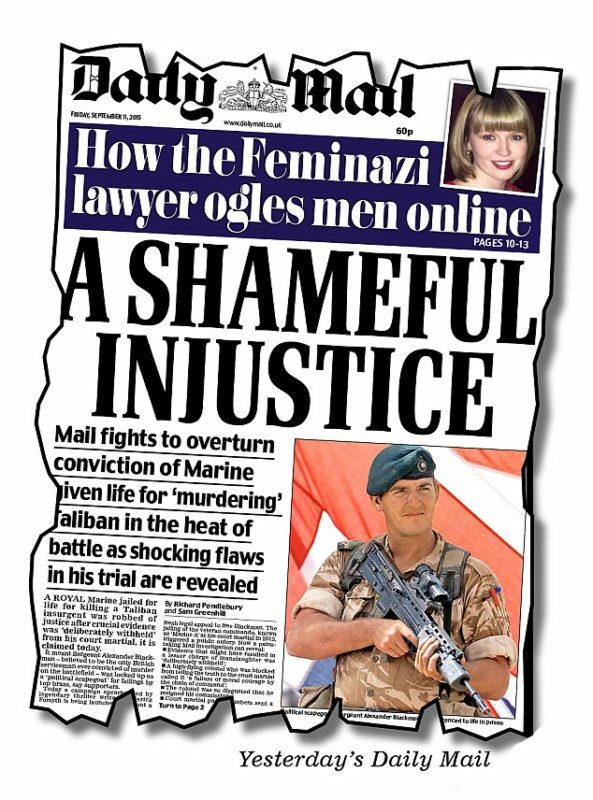 The Daily Mail led a campaign for the release of Royal Marine Sergeant Alexander Blackman after he was jailed for shooting a Taliban fighter. 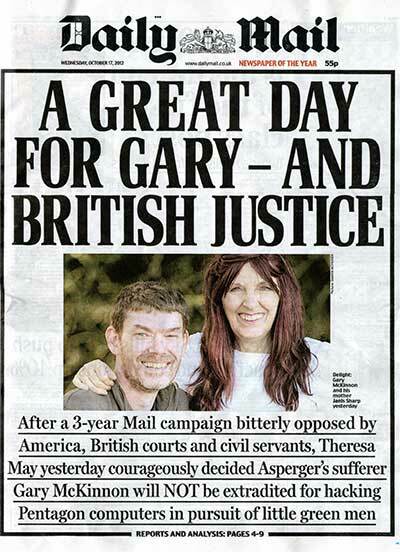 Mail readers raised £810,000 to go towards a legal challenge against his life sentence after the campaign launched in September 2015 with the headline: “A shameful injustice”. The battle lasted two years before Blackman’s release from jail in April last year. The newspaper put the news of his release on the front, giving it equal billing with Theresa May’s signing the letter to begin Brexit. 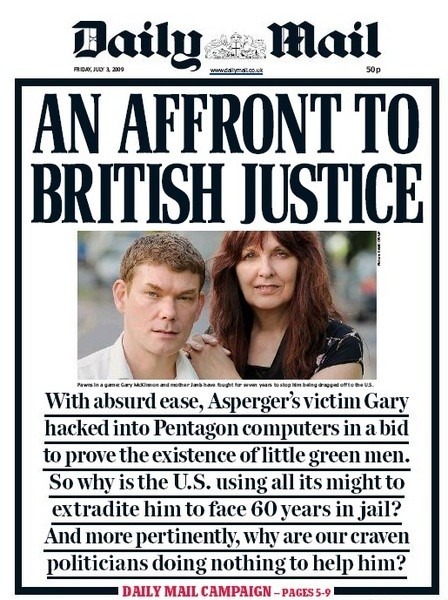 In 2009 the Daily Mail threw its weight behind Gary McKinnon, a British Asperger’s sufferer accused of hacking into Pentagon and NASA computers. 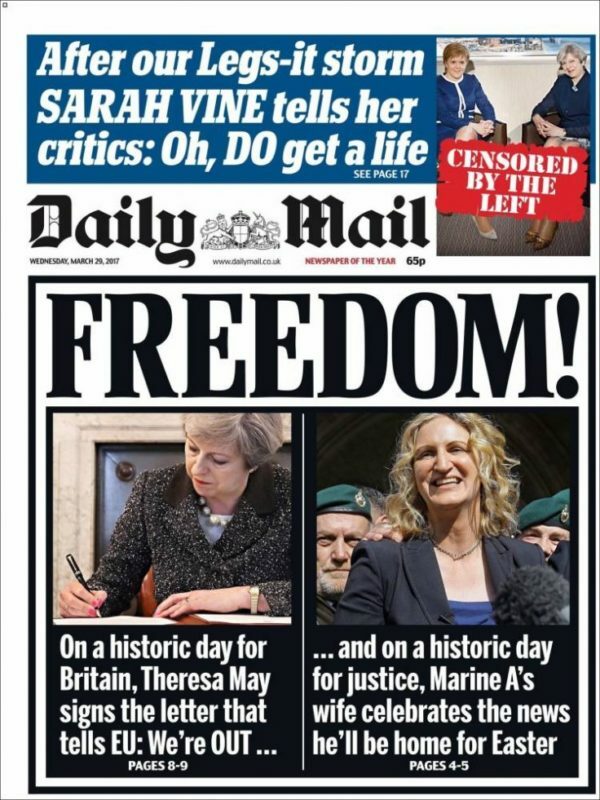 The newspaper campaigned to stop McKinnon being extradited to the US, calling it an “Affront to British justice” in a splash headline. McKinnon was eventually told he would not be extradited, and then that he would face no further criminal action, in 2012. 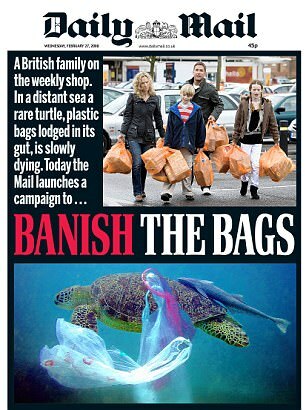 In 2008 the Daily Mail launched a “Banish The Bags” campaign with the striking image of a turtle entangled by plastic. The campaign resulted in the introduction of a 5p charge for plastic bags at supermarkets and other large retailers. 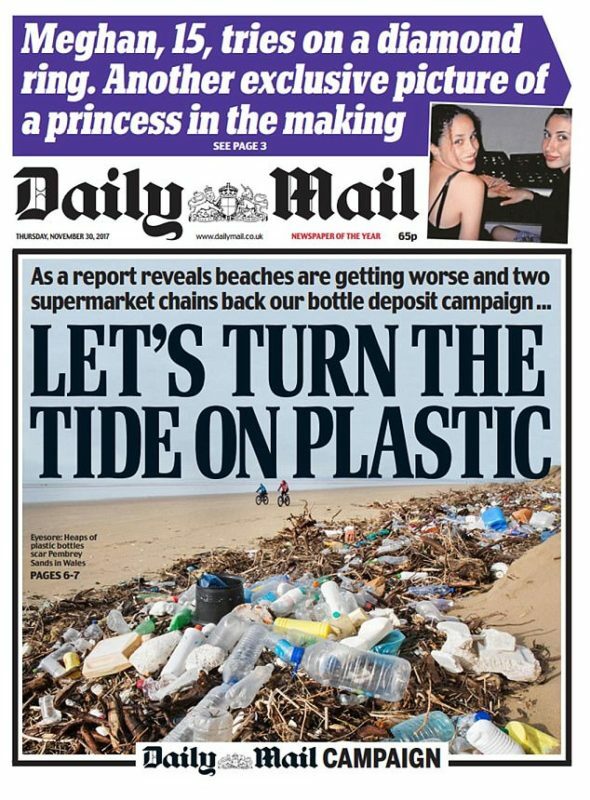 This year, the newspaper has stepped up its anti-plastic crusade again with its “let’s turn the tide on plastic” message. 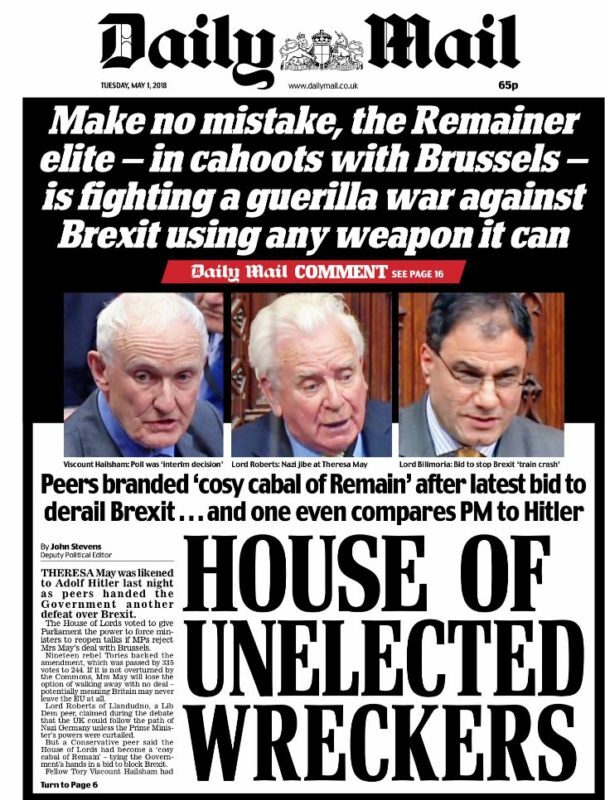 Some of the Mail’s most famous front pages of recent times relate to Brexit, for which it campaigned fervently and has been credited with perhaps tipping the balance in Britain’s decision to leave the European Union. 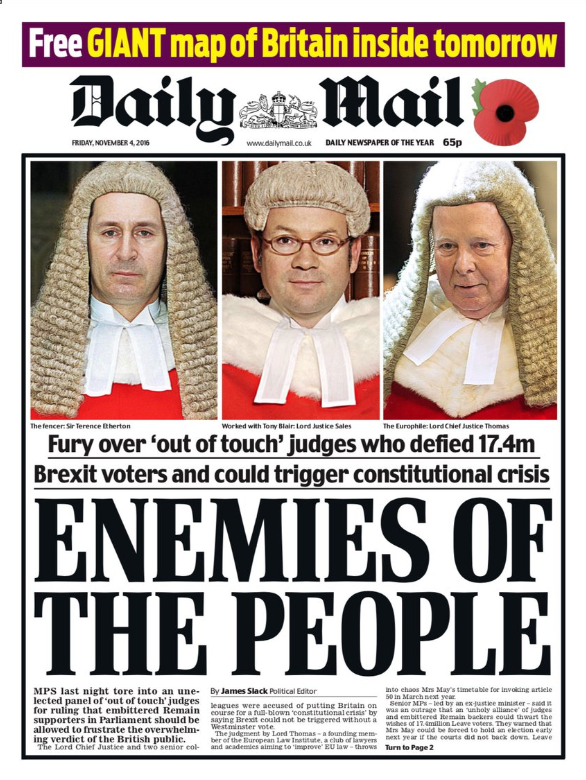 When a panel of judges ruled that Brexit could not be triggered without a Westminster vote in November 2016, Dacre didn’t hold back, calling them “Enemies of the people” in a move that drew criticism and even comparisons with a Nazi newspaper headline. When peers voted to give Parliament the power to force ministers to reopen talks if MPs rejected the Prime Minister’s Brexit deal with Brussels, the newspaper took aim once again, calling the House of Lords the a “House of unelected wreckers” and writing that the “Remainer elite” was “fighting a guerilla war against Brexit using any weapon it can” in a leader column. 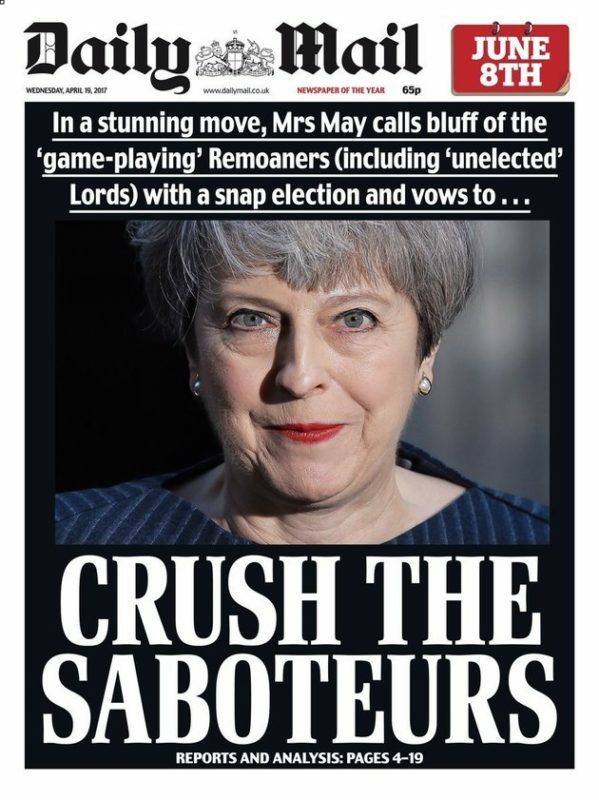 The Daily Mail supported Theresa May’s call for a snap General Election in 2017, saying it was a chance for her to “crush the saboteurs” of Brexit. The outcome didn’t quite go as planned for May or the Mail. 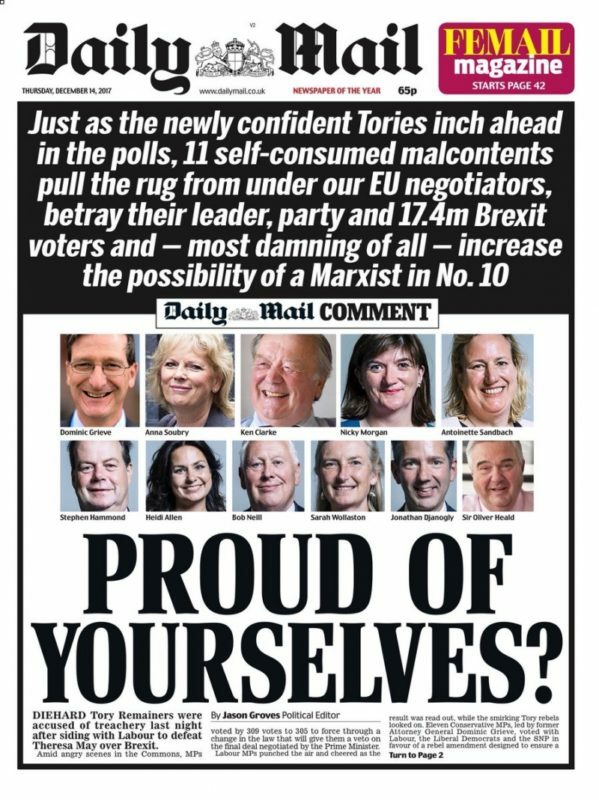 In December, the Daily Mail asked Tory Remainers “Proud of yourselves?” after siding with Labour in a Brexit vote, picturing each of those “accused of treachery”. 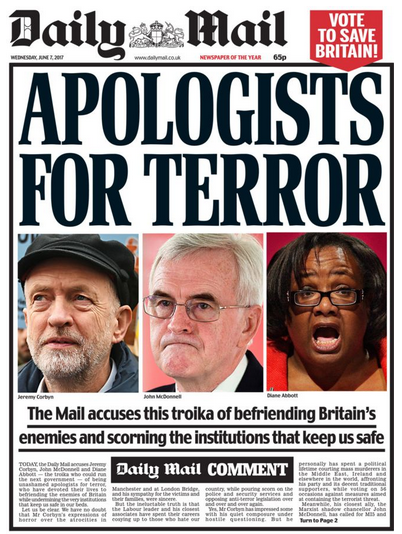 In June 2017, the front page was dedicated to accusing Jeremy Corbyn, John McDonnell and Diane Abbott of being “apologists of terror”. 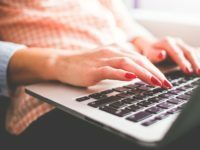 Shahid – The Nazis also imposed censorship on the press, as you have advocated doing dozens of times in your comments on this website.